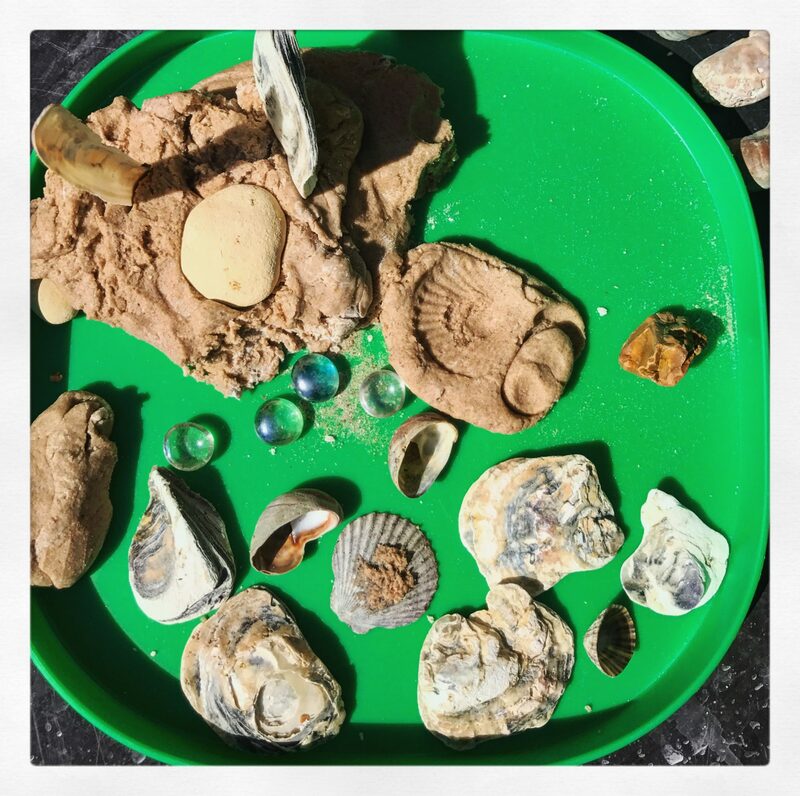 As we had just bought some fresh play sand I thought we should try out a sand play dough recipe! This was the first time I had tried this recipe and found it was quite sticky to begin with, so I added a little more flour which helped. This is a no cook recipe but you’ll still need to add very hot water, so be careful if you are making near children. That’s it, it’s ready to play! To start with, I used this with a range of shells for a seaside themed invitation to play; glass beads and shells. It could also work well with a construction small world or tuff spot set up. I would also double the quantity next time to have more to play with.